Rely on Aarons Plumbing professionals for your residential and commercial plumbing and drain cleaning needs. Customer satisfaction is guaranteed when you make a request for our services. Here at Aarons plumbing we strive to be the best in the industry. Give us a shout and our helpful office staff will quickly schedule you an appointment. Our courteous technicians provide affordable assessments up front, keep their workspace clean and use boot covers, and never leave a customer dissatisfied. We confidently stand behind all of our warranties. Take a look at the quality services we offer below. When your bathroom fixtures fail to function properly contact Aarons Plumbing. 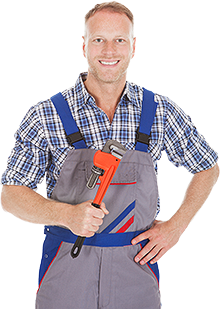 Whether it be a leaky faucet, cracked toilet or leak under the sink our highly knowledgeable professionals will be there to rescue you from your plumbing emergency. Our technicians come prepared with fully stocked service trucks in a timely manner. Have you found that you just cannot get that kitchen sink to stop leaking? A bucket under the sink is only a temporary fix but here at Aarons Plumbing we offer a permanent solution to your problem. We understand how necessary it is to have everything in your kitchen functioning properly and that’s just why we offer a wide variety of services.